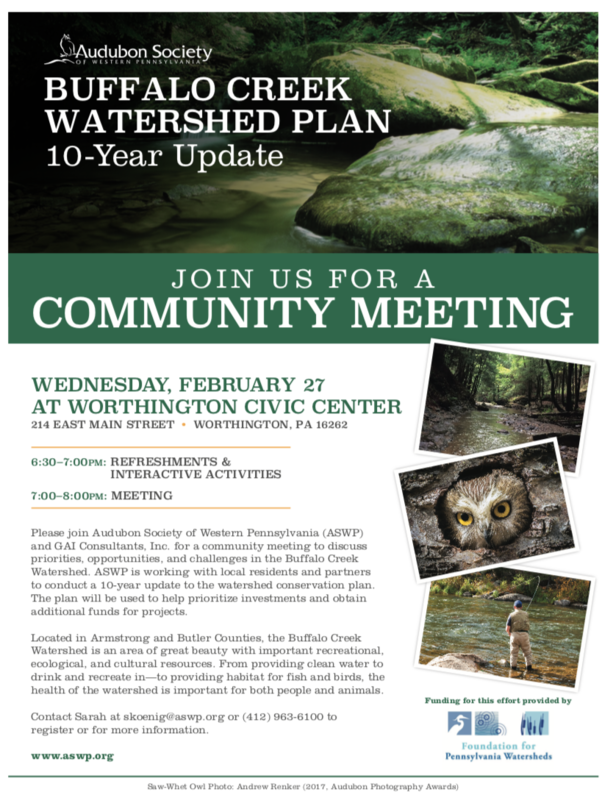 Please join Audubon Society of Western Pennsylvania (ASWP) and GAI Consultants, Inc. for a community meeting to discuss priorities, opportunities, and challenges in the Buffalo Creek Watershed. ASWP is working with local residents and partners to conduct a 10-year update to the watershed conservation plan. The plan will be used to help prioritize investments and obtain additional funds for projects.